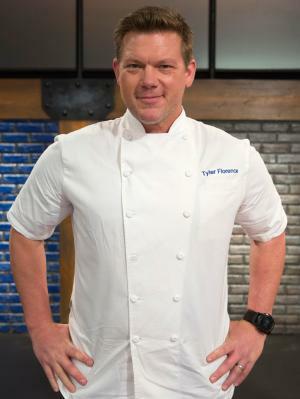 Tyler Florence was born on 3 March 1971, in Greenville, South Carolina USA, and is a television host and chef, best known for hosting a number of Food Network Shows. He also owns several kitchen supply stores in northern California, along with several restaurants. All of his efforts have helped put his net worth to where it is today. How rich is Tyler Florence? As of mid-2016, sources estimate a net worth that is at $15 million, mostly earned through success in the culinary industry; many of his restaurants have found success; he’s made numerous guest appearances on television; as he continues his career it is expected that his wealth will increase, but he also does a lot of philanthropic work too. Tyler Florence graduated from the College of Culinary Arts in 1991. After school, he went on to work with big names in the catering and culinary industry, including Marta Pulini, Charlie Palmer, and Rick Laakonen. He eventually ventured out on his own, opening Cafeteria in Manhattan; it was such a success that he then became part of several shows on the Food Network. He was a presenter on “Globe Trekker” and a host of “How to Boil Water”; he has also hosted “Food 911”, and is the host of “Tyler’s Ultimate”. He is also seen as part of “The Great Food Truck Race”, and was featured on “Shaq’s Big Challenge”. A few of his other notable appearances include “The Oprah Winfrey Show” in which he participated in the nationwide Sandwich Showdown. He has also featured on “The View” and “The Today Show”. All contribute to his growing net worth. In 2008, he developed an open-plan bar for Hotel Vertigo in California. The following year, he opened a small chain of luxury kitchen supply stores, before working on various restaurant concepts. He opened Wayfare Tavern in San Francisco, the fast food restaurant Rotisserie & Wine, and the tavern El Paseo in California. He is also a board member of the subscription service for fresh ingredients, Sun Basket. In 2009, he released a signature line of cookware through the Home Shopping Network; it is also available through retailers in the United States such as Macy’s. His net worth continues to grow. Florence’s other work include various books mostly related to food. His first release was 2003’s “Real Kitchen”, and he went on to release other books such as “Dinner at My Place”. He also wrote “Inside the Test Kitchen”, “Tyler Florence Fresh” and “Family Meal”. “Dinner at My Place” and “Stirring the Pot” would become top-selling cookbooks, and added substantially to his net worth. For his personal life it is known that Tyler’s first wife was Christie Lear, with whom he has a son. He has been married to Tolan Clark since 2006, and they have a son and a daughter. Florence resides in San Francisco, and has opened a retail kitchen store there. He also serves as part of the board of Afterschool Alliance which aims to make quality after-school programs; he has hosted events for the organization, and was later named the Dean of Culinary Education at Copia. He was also given an honorary doctorate from the College of Culinary Arts, thanks to his success. 4 Co-owner, with Sammy Hagar, of El Paseo restaurant in Mill Valley, California. 5 Longtime friend of Paula Deen. She catered the rehearsal dinner before his wedding. 6 His hometown is Mill Valley, California. 7 Chef/owner of Wayfare Tavern in San Francisco, California. 8 Wife, Tolan Clark, gave birth to their first child, a boy named Hayden, on May 23, 2007. He weighed 9 lbs. 6 oz. 9 Wife, Tolan Clark, gave birth to their second child, a girl named Dorothy Tyler Florence, at 8:08 am on August 8, 2008. She weighed 9 lbs. 10 Expecting his second child with his wife, Tolan Clark [January 30, 2008]. 11 Expecting a child, a son, with new wife, Tolan Clark. The baby is due in Summer 2007. 12 Graduate of the prestigious College of Culinary Arts at Johnson & Wales University in Charleston, South Carolina. 13 Has a son, Miles (b. June 1996) from a previous marriage.